Have fun and be creative! 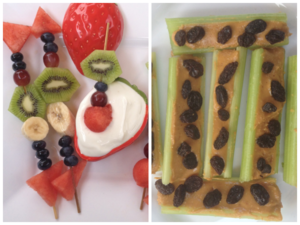 Kids love to help "build" their own healthy snacks. Use produce with different textures, shapes and colors and let your child create healthy treats that will excite her/his imagination and appetite. It's hard to believe, but the latest research shows that a mere 12 percent of American children are meeting the recommended servings for fruit and only 8 percent of American children are meeting the recommend servings for veggies. One smart way to get kids eating more of what they need is by focusing on snack time. According to recent data, about a quarter of kids' daily calories come from snacks, yet kids' between-meal bites rarely provide a full serving of fruit or vegetables. Here's how top nutrition pros create kid-friendly snacks that provide at least one serving of fruit or vegetables. Tip: Offer a wider variety of options. 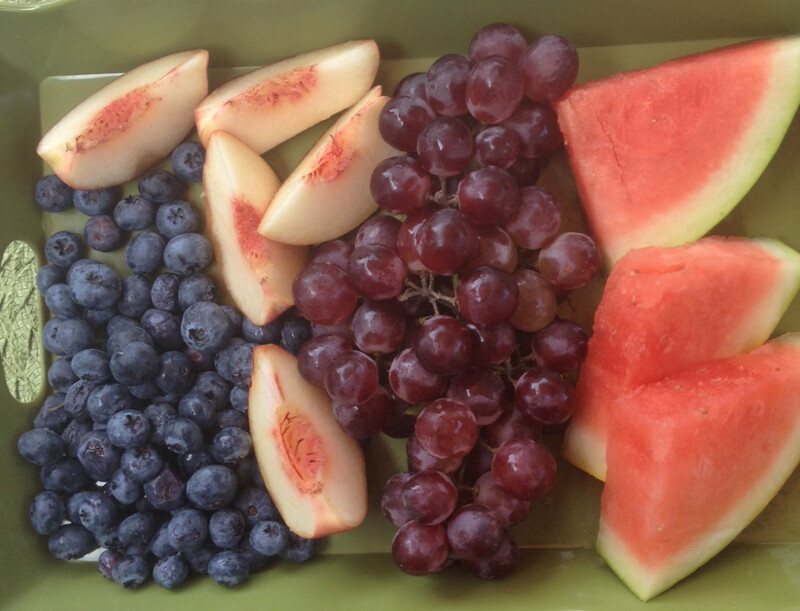 We often get in a rut of eating the same things like apples, bananas and grapes. There are hundreds of produce picks, so think beyond the banana. "I often serve kiwis to my kids for snacks. Bite for bite, Kiwifruit is one of the most nutrient packed options in the produce aisle (and that's saying a lot!). 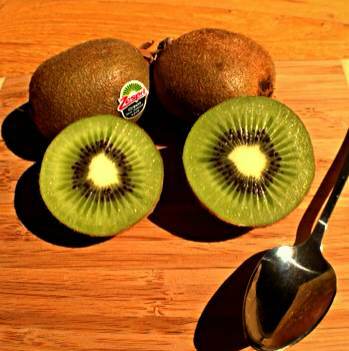 Two kiwifruit have twice the vitamin C of an orange, more potassium than a banana, and as much fiber as a bowl of bran flakes -- all for just 100 calories. They're also so easy. Just cut a ripe kiwi in half and scoop it out with a spoon." Tip: Have fun and be creative! 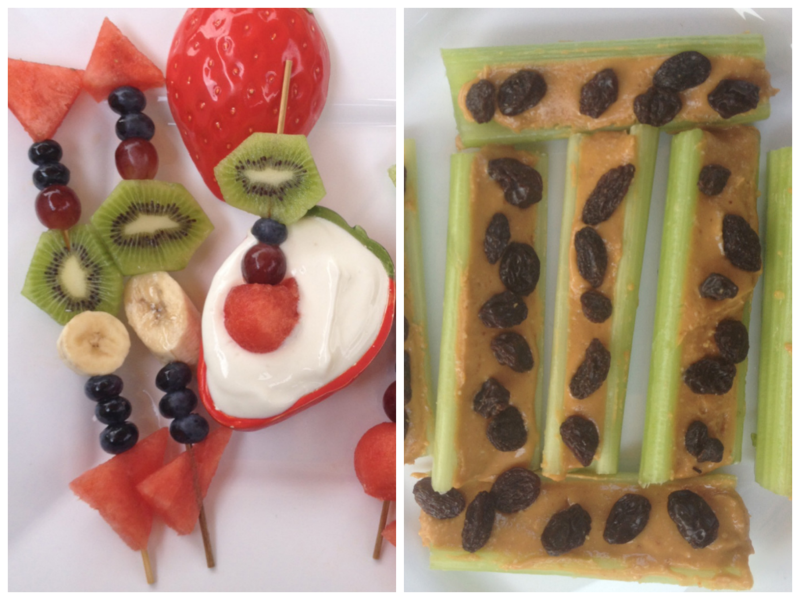 Kids love to help "build" their own healthy snacks. Use produce with different textures, shapes and colors and let your child create healthy treats that will excite her/his imagination and appetite. "Some of my favorite fruit and veggie snacks for kids include: rainbow fruit kebob + Greek-yogurt dip -- chop up slices of watermelon, banana, kiwi, blueberries, red grapes and make a kebob. Dip in Greek yogurt. You also can't go wrong with the old ants on a log." Tip: Don't be afraid to be a "sneaky" chef if your child refuses fresh produce. A delicious smoothie or baked goods (like muffins) are perfect for adding extra fruits and veggies in ways that kids will never know. 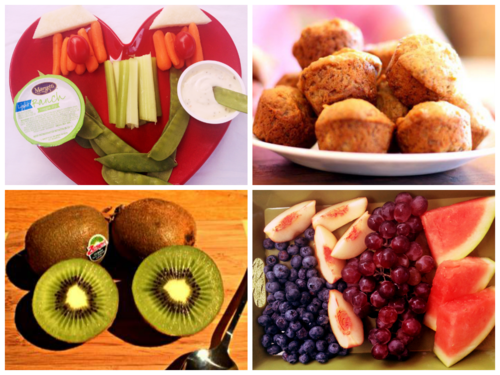 "For after school snacking, I really like making a quick smoothie or an energy-packed muffin. 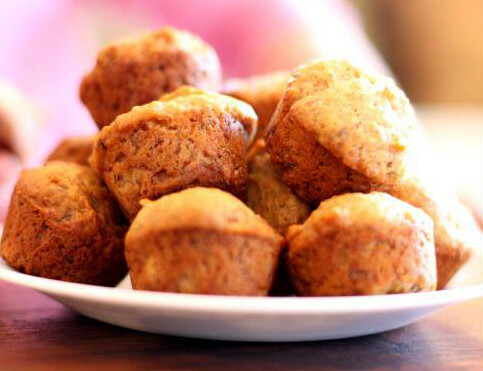 My favorite go-to muffin recipe is this one for pumpkin-applesauce mini muffins"
Estela Schnelle M.S., R.D., founder of the food and lifestyle blog "Weekly Bite." Tip: Dip it! Recent research from Penn State found that a low-fat dip is one of the simplest ways to go from yuck to yum! The study found children were three times more likely to eat vegetables with a low-fat ranch or pizza-flavored dip than when they were served the same vegetables without a dip. The kids also ate up to twice as much of their veggies with a dip than alone. 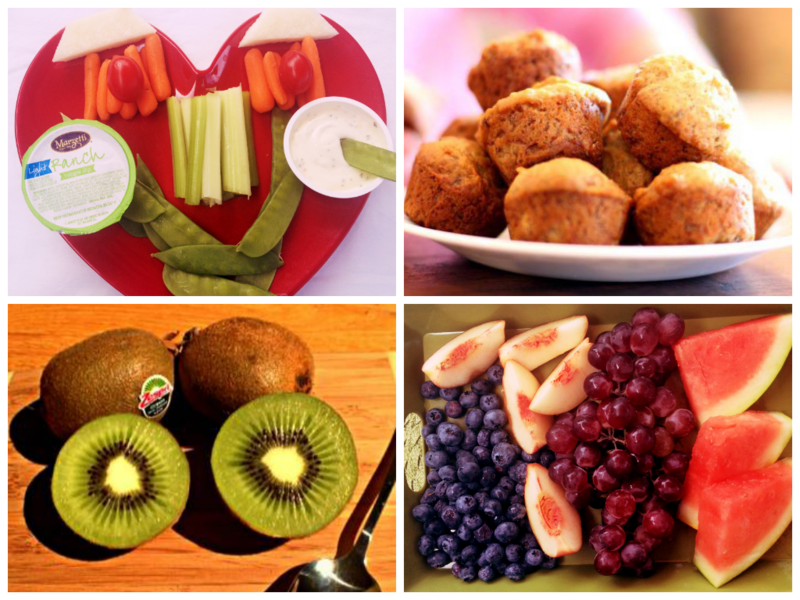 "Snack time can be a great opportunity to turn kids on to veggies and fruit using dips. Try baby carrots, snow peas, celery or cherry tomatoes with salsa or low-fat ranch dip. 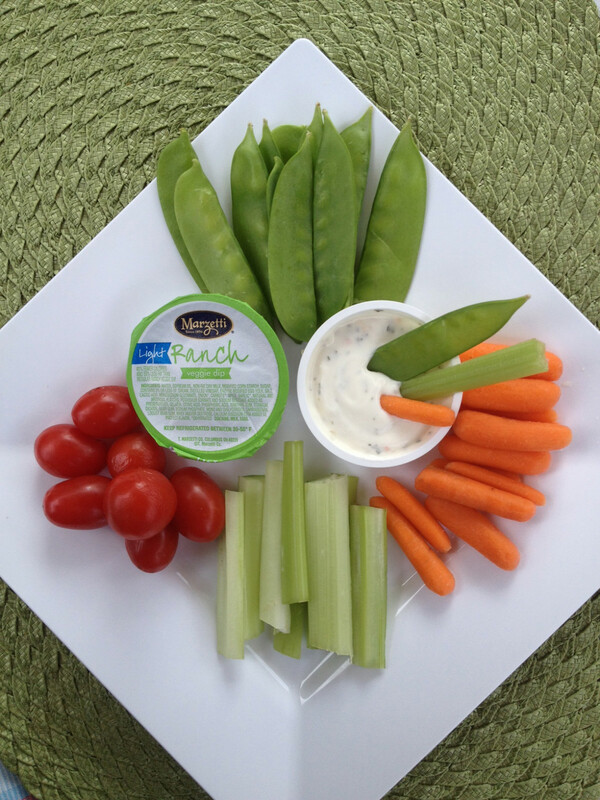 I started my kids out with dips they have been veggie eaters ever since." Sari Schlussel-Leeds, M.S., R.D., C.D.N. Tip: All forms of fruit and veggies count. Fresh may be best, but not if it means your child doesn't reach his produce quota for the day. Fresh, frozen, squeezable or dried fruit will all count toward produce requirements. 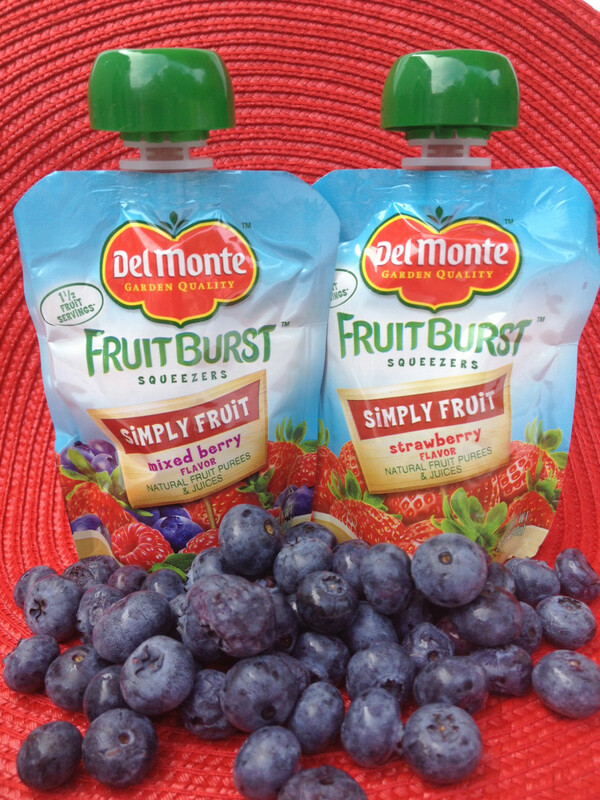 "For on-the-go, you can't beat the convenience of squeezable fruit pouches. My kids love them and I recently tried a fruit and veggie pouch for myself prior to a big swim! Look for one that has at least 1.5 servings of fruit or fruit plus veggies per pouch, like Del Monte Fruit Burst Squeezers." Dr. Felicia D. Stoler, D.C.N., M.S., R.D., F.A.C.S.M. Tip: Make produce readily available and easy to eat. Research shows that having a fruit bowl in a prominent location can boost consumption as well as having veggies cut and ready to eat in the fridge. "If the strawberries, oranges, carrots are in the fridge, No one bothers. On the other hand, if I take them out, wash them and put on a tray or bowl, my kid gobble them up! There is something about the eye that is attracted to the fruit and veggies when not just placed on a tray or platter, but when they are cut." Tracy Owens, M.P.H., R.D., C.S.S.D., L.D.N. For more by Katherine Brooking, click here.